Stuart Hill. El grito de las tierras de hielo. Barcelona: Salamandra, 2012, 448 pages. Translated by Marta Pino Moreno. ISBN: 978-8498380606. 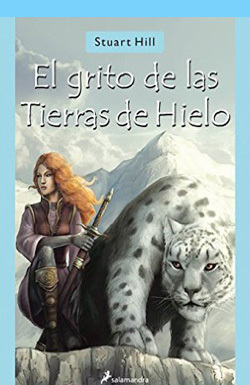 Spanish translation of the original title: Stuart Hill. The Cry of the Icemark. Frome, Somerset: Chicken House, 2013.Published in Spanish by Salamandra.